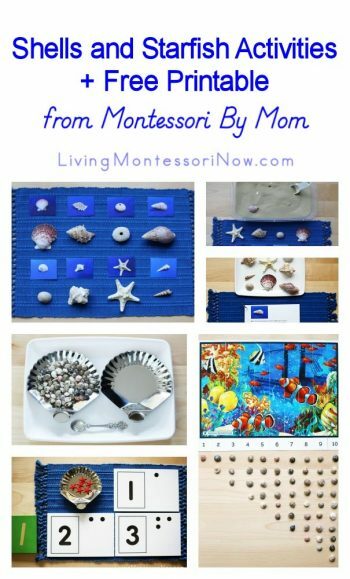 Montessori By Mom has done it again! The Earth Exploration Toolbox is designed for ages 3-6, but it’s perfect for homeschoolers needing activities for multiple ages (or for parents wanting activities that can grow with a child). 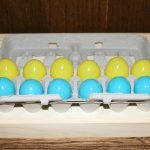 I wanted to use the toolbox with my 2-year-old granddaughter, Zoey, and I was able to find a number of activities I could use. Of course, there are many activities designed specifically for 3-6 year olds. Plus, there are activities that would work well even for elementary age! 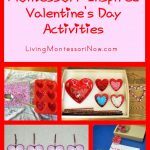 Disclosure: I’m a Montessori By Mom affiliate. I was given the Earth Exploration Toolbox for this review. This post contains affiliate links (at no cost to you). 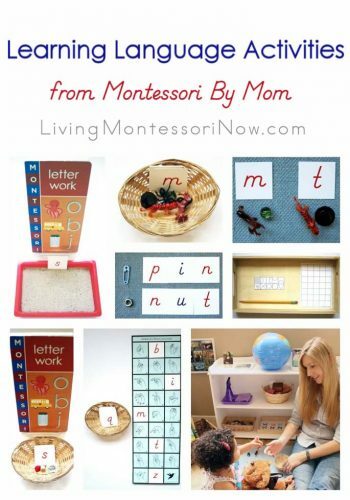 Montessori By Mom now has a Montessori By Mom store where you can buy single toolboxes, activity sets, single items and refills, and printables and videos. There’s also a Marketplace where parents and teachers can sell homemade or used Montessori-related products. You can post products free. Montessori By Mom just takes a 15% commission from each sale for providing credit card processing and the platform. The Earth Exploration Toolbox has a large number of activities you can create with the materials to work with a variety of ages. Teresa and Nathan give many ideas for various ages and levels of difficulty. Each material can be used in multiple ways, and the extensions ensure that the activities can grow with your child. The instructional videos and online resources are wonderful … and it’s so nice to have all the materials included. 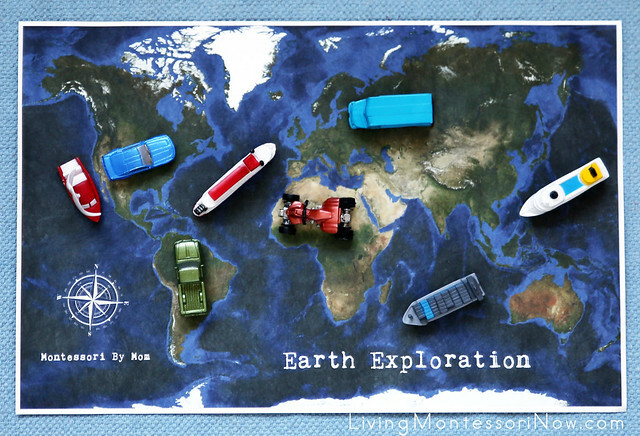 The Earth Exploration Toolbox is available in the Montessori By Mom store. In the extension activities, there are many more activities than I’m showing here. 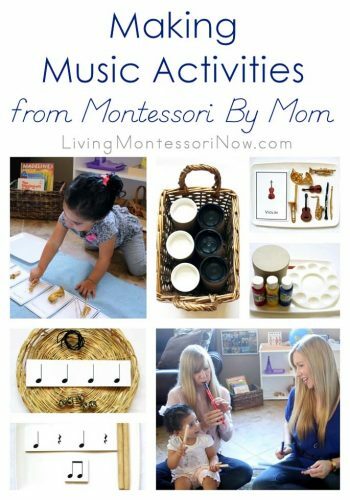 There’s also a progression of activities to follow, similar to what would be used in a Montessori classroom. 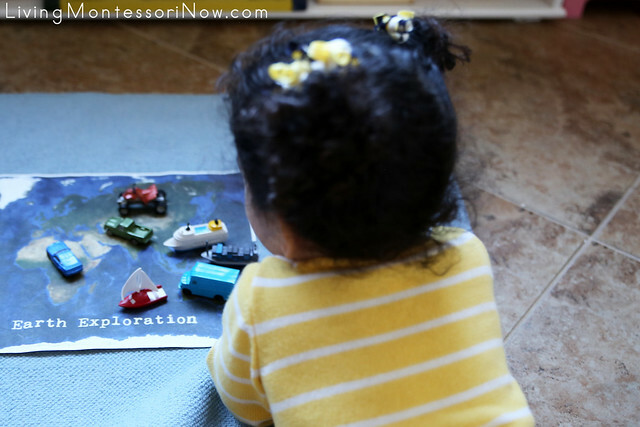 I’m just showing a variety of the activities along with ideas for adapting the Earth Exploration Toolbox activities for a 2-year-old. You’ll find a helpful sequence of map activities, including a “me on the map” activity in the activity guide. With a 2-year-old, I just did the first activity, mapping your hand, to introduce Zoey to the concept of mapping. There are a number of directional activities, although most are designed for 3 year olds and older. 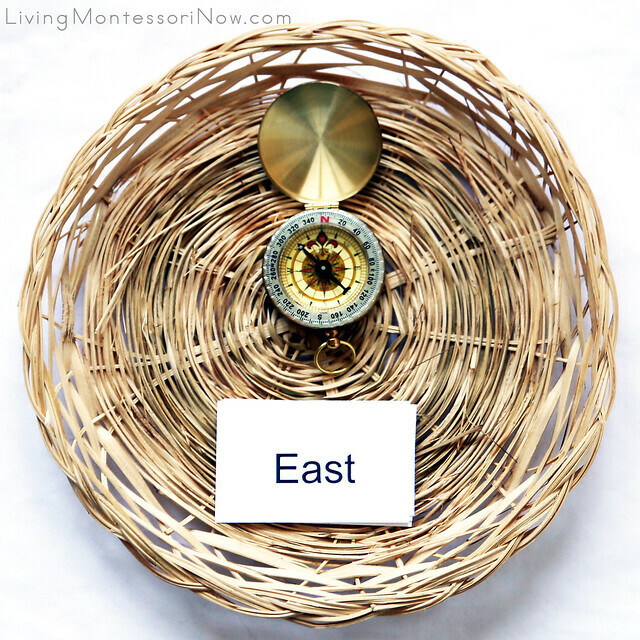 The Earth Exploration Toolbox contains a beautiful brass compass along with printable direction cards that can be used for a number of activities. I’m just introducing Zoey to the compass and showing her that there are 4 directions. The Earth Exploration Toolbox has some gorgeous map materials. I love that the map is made from Tyvek. The colors look extra rich with it, and it’s very durable. For Zoey, I used the side with the satellite image for a land and water transportation activity. We used some of the land vehicles and water vehicles from our Safari Ltd. On the Road TOOB and In the Water TOOB to discuss which went on land and which went in the water. Then Zoey placed the boats and land vehicles on the map. Zoey loves vehicles, so this was especially fun for her. 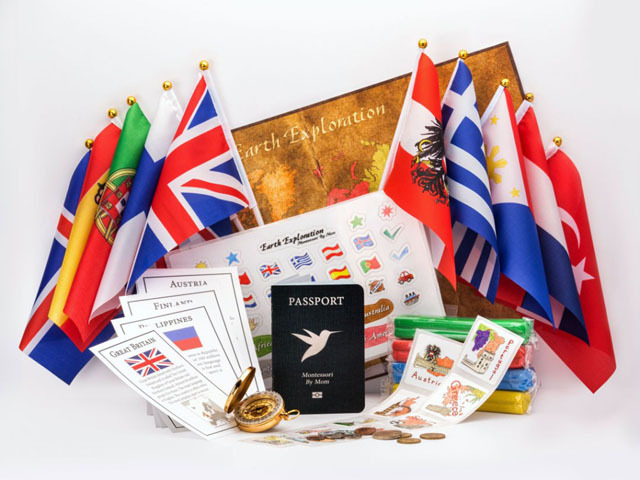 There are a variety of activities that can be used with the map, passport, and stickers that come with the toolbox. I use a napkin ring for the map, which makes for a nice map-rolling activity. I’m saving the other activities for when Zoey is a bit older. 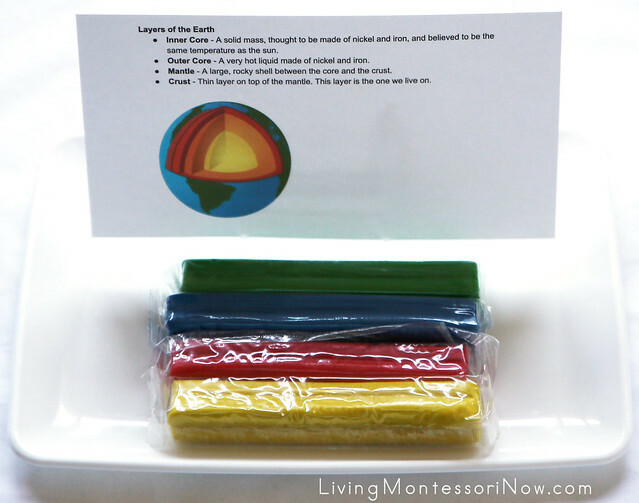 I always loved this hands-on introduction to layers of the earth. 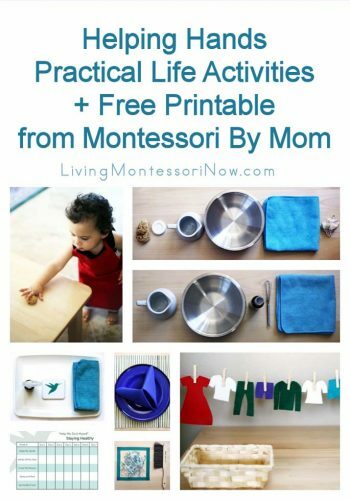 I printed out the Montessori By Mom online resource shown in the photo. This is another activity I’m saving for when Zoey’s a bit older. 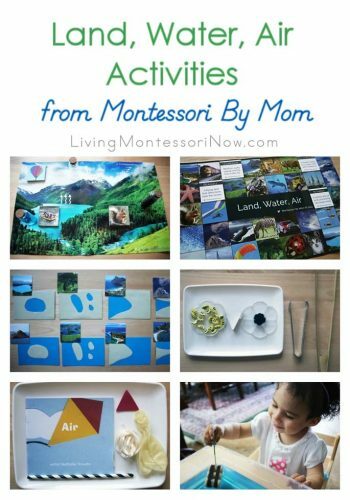 This activity is awesome for preschoolers through elementary-age kids! 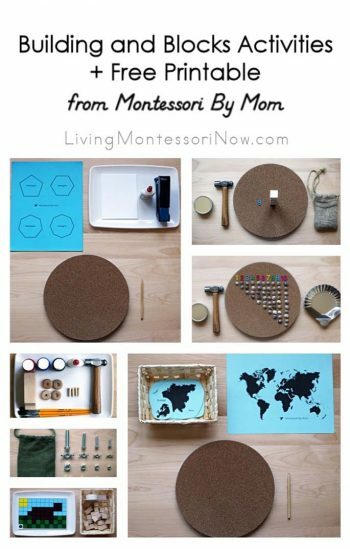 This flat tray is available in the Montessori By Mom store. 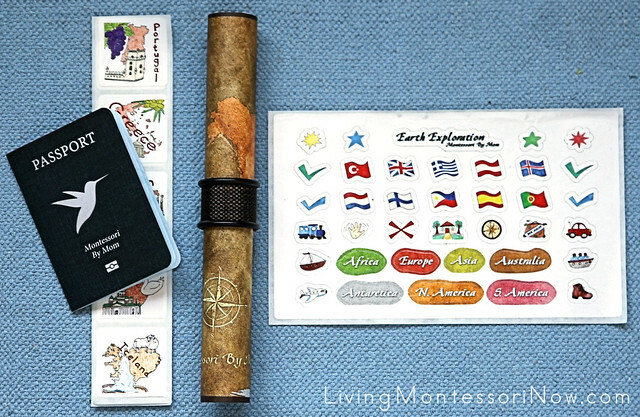 Zoey loves walking on the line, so we used the flags that come with the Earth Exploration Toolbox for a matching activity and Montessori walking-on-the-line activity. First, I laid out the flags with the info card containing the chosen country’s flag in the middle. I chose Great Britain because my daughter’s husband, Tom, is from England. 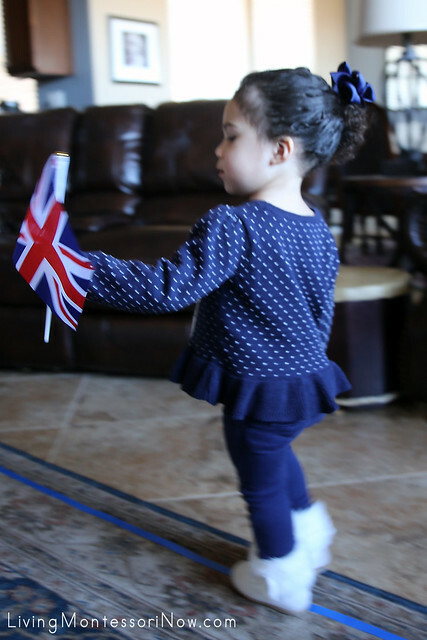 After Zoey found the British flag, she walked on the line, trying not to let the flag move (one of the Montessori By Mom suggested activities). There are many more activities older kids can do, including making a flag using the country info cards and online flag printable. 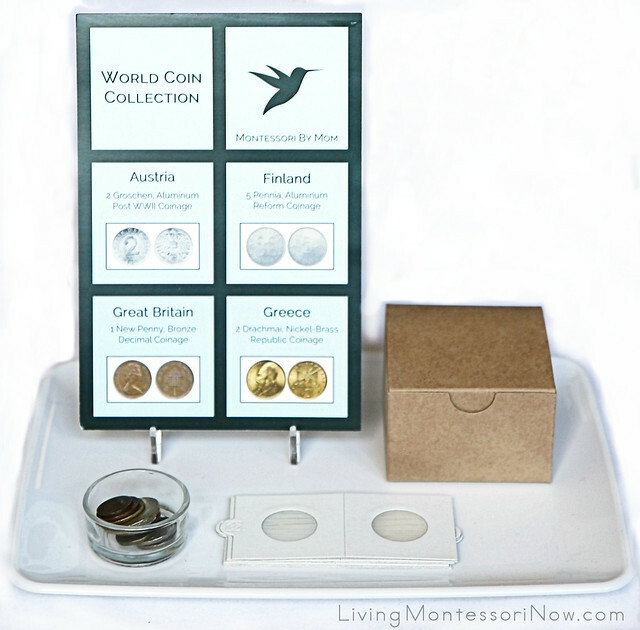 The Earth Exploration Toolbox has an amazing way to introduce young children to world coins. Because of Zoey’s age, I decided to simply give an introduction to U.S. coins. I introduced penny, nickel, dime, and quarter using the Montessori 3-period lesson. Then I brought out a purple bank that was my daughter’s when she was a child. Zoey had a great time putting coins into the bank, opening it up, taking the coins out, and putting them in again. 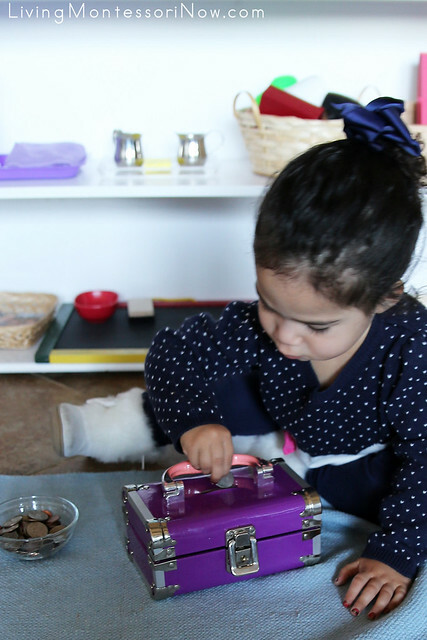 A great fine-motor activity (as long as your toddler won’t try to eat the coins)! Isn’t this beautiful?! 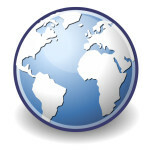 I love the world coin collection in the Earth Exploration Toolbox. It’ll be a wonderful activity when Zoey is a bit older. 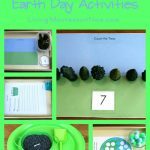 Even though I’m saving some activities until Zoey’s a bit older, the Earth Exploration Toolbox gave even a 2-year-old a nice variety of activities. 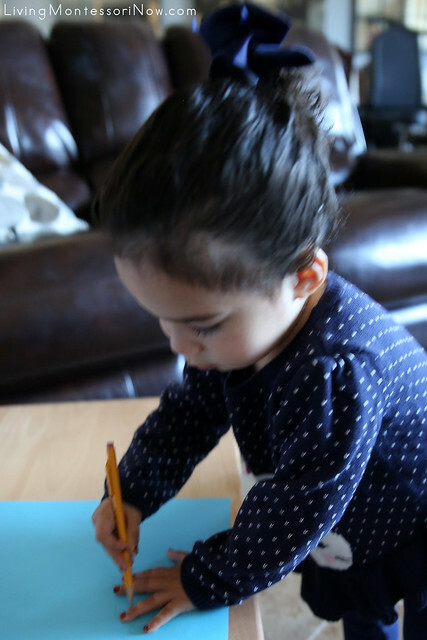 It would be a thorough unit for a preschooler and would add many simple-to-prepare activities for a unit study in a homeschool with multiple ages. Montessori By Mom has a few other Toolboxes, too: Mad Scientist (for skills such as pouring, color mixing, volume, and measurement), Space Explorer Toolbox, Movement and Motion, Caves and Caverns, Journey to Japan, Dinosaur Discovery, Delicious Discoveries, and Kings, Queens, and Castles. 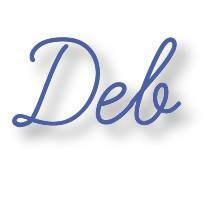 I’ll be adding my review and activity posts to this post as I publish them. Montessori By Mom is actively working to restock several of their Toolboxes, so there should be more available every month. 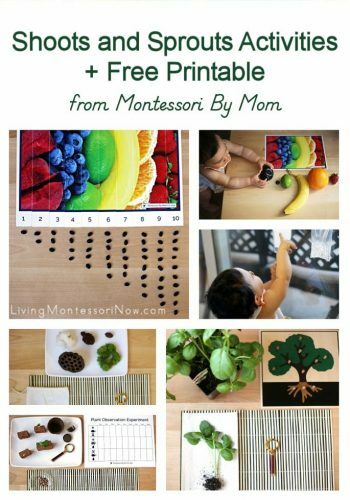 MONTESSORI BY MOM SPECIAL OFFER FOR NEW SUBSCRIBERS! I really love the Montessori By Mom materials and curriculum. 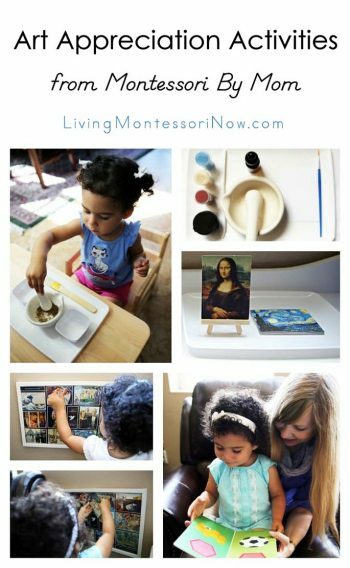 I definitely recommend Montessori By Mom for parents looking for a simple and fun way to start using Montessori at home. 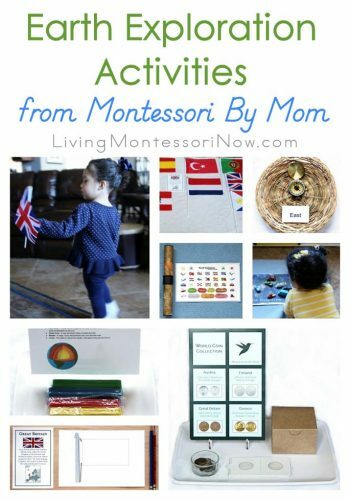 Montessori By Mom offers $10 off to new subscribers with the coupon code AFFDECH at checkout. These are such great ideas. We are exploring maps & solar system at home and I think it’s a great idea to introduce a compass and flags. Will keep these in mind.